This amazing group of people usually meet on the second Friday of every month. All are welcome. Check out the Beamer Books Blog. Friday, February 8th, 7PM Tonight's group will be discussing Return of the Sorcerer by Clark Ashton Smith. With an introduction by award-winning author Gene Wolfe, The return of the sorcerer: The Best of Clark Ashton Smith offers both readers and scholars a definitive collection of short fiction and short novels, by an overlooked master of fantasy, horror and science-fiction. 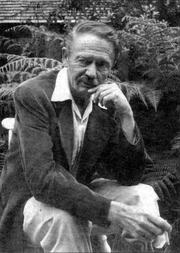 Clark Ashton Smith is currently considered a "single author." If one or more works are by a distinct, homonymous authors, go ahead and split the author. Clark Ashton Smith is composed of 11 names. You can examine and separate out names.